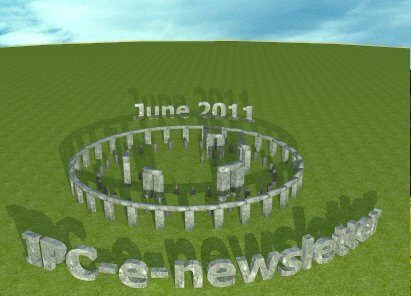 Welcome to the June 2011 edition of the IPC e-newsletter. The IPC e newsletter is distributed free to more than 4000 people around the world. The Supreme Court’s rejection of the petition seeking harsher punishment for the accused in the Bhopal gas tragedy case evoked strong reactions here with some terming it “a black day”. New Delhi: Consumer goods companies in India—from makers of cellphones to cars to paints—are increasingly underlining the safety features in their products as an integral part of their marketing campaigns. From a Nerolac paints advertisement that shows actor Shah Rukh Khan playing an expectant father promising his unborn child that the paint in their house will be free of toxic chemicals, to Alcatel ICE3, a mobile phone that claims its instruments emit substantially lower radiation. Asian Paints Ltd. operates in 22 countries around the world. It maintains 27 paint manufacturing facilities and serves consumers in 65 countries. As a truly global enterprise, Asian Paints is aware of the impact its operations have on the environment and is strongly committed to following the latest best practices for “green productivity.” Specifically, the company is working to assure environmental compliance and sustainability by focusing on waste minimization and water conservation at all of its plants across India. MISSISSAUGA, Ontario, May 24, 2011 – Jazz Aviation LP (Jazz) has repainted two regional aircraft with the most advanced, “green” coatings system by PPG Industries’ (NYSE:PPG) aerospace business. This chromate-free PPG coatings system reduces environmental impact, lowers weight, and provides a smooth, glossy and highly durable finish. According to Ron Nakamura, PPG general manager and business manager for aerospace in Canada, Jazz is the first airline in Canada to specify the complete green PPG system. The 9th Guangzhou (China) International Surface Finishing, Electroplating and Coating Exhibition (hereinafter referred as SF EXPO China 2011) is jointly organized by China Surface Engineering Association Electroplating Branch, Powder Coating Institute, Guangdong Electroplating Association and Guangdong Coating Industry Association, scheduled on May 11-13, 2011 at Guangzhou International Convention and Exhibition Center. It’s estimated that Over 300 companies will show and more than 18,000 attendees will visit this premier industry event. SF EXPO China, held biyearly, is one of the important surface finishing industry events in China. Since the promotion started from 2009, SF EXPO China 2011 has gained the support of about 40 associations and 50 media partners around the world. The latest surface finishing materials, equipments and technologies, including electroplating, painting equipments, blasting, polishing, conversion coatings, anodizing, will be displayed in this 3-day exhibition. The renowned enterprises such as Atotech, Winstar, Coventya, Zi Yi, Wagner, ITW-Gema, Huan Yu, Da Qi have confirmed their participation. The exhibition will provide surface finishing companies with a highly effective platform for press release, business networking and negotiation and its scale will be twice of SF EXPO China 2009. Besides, the organizing committee has achieved the in-depth cooperation with many foreign associations so as to make the show more internationalized. As for visitor organization, by now over 1,000 large user companies have decided to visit the show and companies such as BYD, Foxconn, KONKA, Haier, Galanz, Toyota, Nikon, OREX Lighting will send delegates. The concurrent events are also to be held to enrich the exhibition. The activities include: Members’ Assembly of Marketing Working Committee of China Surface Engineering Association, International Symposium on Surface Finishing Industry Development and New Product, Technology Promotion Conference, Annual Meeting of Guangdong and Guangzhou Electroplating Association, The 2nd International Plating Technical Forum, Energy-saving and Environment-friendly Coating Technical Seminar, Awarding Ceremony for Outstanding Surface Finishing Enterprises and Coat Expo China 2011. These industry activities are organized by authoritative associations and draw the great attention of professionals and experts, with an aim to make SF EXPO China a grand industry gathering and achieve win-win opportunity for all participants. Host: Wise Exhibition (Guangdong) Co., Ltd.
A massive fire engulfed a plastic container storehouse in Kanpur City of India's Uttar Pradesh state on Monday. The fire broke out at 3:30 a.m. The storehouse did not have basic firefighting equipment, and a case has been registered against the owner of the company. Kansai Nerolac Paints announced a phenomenal rise in standalone net profit for the quarter ended March 2011. During the quarter, the profit of the company rose 73.53% to Rs 588.60 million from Rs 339.20 million in the same quarter previous year. Asian Paints said its fourth-quarter (January-March) net profit fell due to high raw materials cost and added that the upward surge in prices is likely to continue due to shortage of key raw materials caused by global capacity constraints, the company said in a press release Wednesday. “Demand conditions for international as well as industrial businesses were challenging," chief operating officer and managing director, PM Murty, said in the press release. Akzo Nobel India gained 2.40% to Rs. 859 at 12:10 IST on BSE, after net profit surged 221.4% to Rs. 57.82 crore on 21.4% rise in net sales to Rs. 266.60 crore in Q4 March 2011 over Q4 March 2010. Global paints and coatings maker Akzo Nobel plans to set up a new manufacturing plant in India at an investment of up to Rs 250 crore as part of a strategy to become a one billion euro entity in the country by 2015. The Indian arm of the Amsterdam-based company is scouting for locations in Madhya Pradesh and Karnataka to set up the plant, which it expects to be ready by FY13. "Currently, we are pretty close to full capacity and the management understands that in order to achieve our target of becoming a one billion euro entity in India by 2015, we need more capacity," Akzo Nobel India Chairman Nihal Kaviratne told PTI. Akzo Nobel India Ltd is the listed company of the group and is mainly into decorative paints, automotive coatings and surface chemistry. The group's other business areas such as performance coatings and specialty chemicals are also significant in India but are not under the aegis of the publicly listed entity. A meeting of the Board of Directors of Akzo Nobel India Ltd will be held on May 11, 2011, to consider the Audited Financial Results of the Company for the year ended March 31, 2011 and recommendation of Dividend for the said financial year. The stock was trading at Rs.841, up by Rs.0.30 or 0.04%. The stock hit an intraday high of Rs.841 and low of Rs.835.05. Picture this: You are set to move into a spanking new apartment, and the equated monthly installments have already begun to tick. A few days before you decide to take possession, the builder calls to tell you that your home is ready to move in. Except for a few things, he adds sheepishly - security cameras, intercom systems and fire sprinklers have yet to be fitted in the tower. Or what if this happens: your smartphone crashes to the ground, one of its 100-odd components - a humble screw - gets lost. Your mobile is not the same again. You go to the manufacturer for a replacement, but he tells you he does not have the part. And this comes days after the dealer who is repairing the car that you banged into the rear of a bus tells you that the vehicle will have to spend a few more weeks in the shop. If carmakers are nervous, so are suppliers of components. And paints. Kansai Nerolac sources raw materials from its factories in Japan. The company has now begun sourcing chemicals from Europe. "The quality is the same but the price is slightly higher," says H M Bharuka, managing director, Kansai Nerolac. The cuts in production by the auto majors will also hit the paints company's revenues. "Our top line will be lower by 2 to 3%," adds Bharuka. Analysts point out that in situations where costs climb up, manufacturers may well decide to pass on the increase to the customer. MUMBAI (Mint) -- The promoters of Shalimar Paints, a Mumbai-based paint manufacturing company, are looking to divest a part of their stake, according to two people familiar with the development. The company has appointed investment bank Avendus Capital Pvt. Ltd. to scout for suitable buyers. "The talks are still in preliminary stages," said the person with direct knowledge of the development. "They are looking for either a strategic player or a private equity firm. The company needs money for capacity expansion and business development." An e-mail questionnaire sent to Shalimar Paints on Monday went unanswered. Sandeep Sarda, executive director and chief executive officer of Shalimar Paints, when contacted over the phone, said: "We do not comment on such things." The promoters of the paint company are the Ratan Jindal Group and the Jhunjhunwala Group, a Hong-Kong based non-resident Indian group with interests in real estate and hospitality. At the end of March 2010, the promoters held a 62.8% stake in the company. At Nippon Paint, we believe everyone can become an expert in paint. We will do our part by furnishing our customers with the finest products that suit your . China has become the largest producer and consumer of titanium dioxide (TiO2) in the world. According to the latest research data from China Chemicals Market (CCM), a Chinese consulting company based in Guangzhou, China, the total capacity of China’s titanium dioxide (TiO2) represents approximately 30% of world capacity. In 2010, the total capacity of China’s TiO2 reached 2,000,000 tonnes, and annual production reached 1,470,000 tonnes. In 2010, the consumption of TiO2 in China exceeded 1,400,000 tonnes. Due to the supply shortage in the European market, the export volume of China’s TiO2 increased rapidly, making the first favorable balance of trade in May 2010. DuPont (Wilmington, Del. ; www.dupont.com) announced a comprehensive titanium dioxide expansion plan that will add about 350,000 metric tons (m.t.) of global capacity and strengthen the company’s capability to meet the increasing demand from its customers. The expansion includes new production facilities at the company’s Altamira (Mexico) site, as well as additional investments to improve the productivity at its other titanium dioxide sites around the world. The new line at the Altamira site is scheduled for completion by year-end 2014 and will provide approximately 200,000 m.t./yr of new capacity. Facility upgrades underway at DuPont’s five titanium dioxide manufacturing sites will continue over the next three years, yielding an additional 150,000 m.t. of capacity. After five weeks, more than 120 workers remain on strike at a Melbourne paint plant operated by the US-based transnational PPG Industries. They walked out on March 28 against the company’s demand for a new two-tier wage system, involving new hires receiving a 43 percent wage cut. PPG—a multi-billion dollar global manufacturer of chemicals, paint and glass, and a major supplier for Toyota, Ford, and General Motors Holden in Australia—is also attempting to undermine the overtime benefits and working conditions of the existing workforce, and has mounted an aggressive strike breaking operation to maintain production. The European Coatings Show still has a few surprises in store twenty years after its launch. After a slight decline for the preceding edition due to the world economic crisis, the 2011 event in the Exhibition Centre Nuremberg even beat the previous top marks of 2007. 887 exhibitors from 45 countries presented their product spectrum of high-quality coatings, paints, sealants, construction chemicals and adhesives on a record net display space of 30,000 m² from 29–31 March 2011. 25,955 trade visitors, 14 per cent more than the previous record of 2007, used the opportunity to update on the latest products and services during the three days of the exhibition. 63 per cent of them came to Nürnberg from abroad (2007: 59 per cent / 2009: 56 per cent). After Germany, the countries with the most visitors were Italy, the Netherlands, Switzerland, Turkey, Great Britain and France. The European Coatings Congress with 648 participants from 40 countries at its some 150 papers in 25 sessions also registered outstanding interest in the topical issues of this highly innovative sector. The European Coatings Show and European Coatings Congress are the meeting place for the global coatings community every two years. With its large international share of about 60 per cent for both exhibitors and visitors, the event offers an ideal dialogue platform for experts from all over the world. All the new developments and innovations are represented here, from raw materials for coatings, printing inks and adhesives to intermediates for construction chemicals, laboratory and production equipment, testing and measuring equipment, and application systems to safety at work and environmental protection. Besides a variety of product properties and competitiveness, the environmental compatibility aspect is increasing its importance in research and development, as shown, for example, by the rapidly growing share of water-based coatings and paints. Prof. Matthias Beller of Rostock University opened the European Coatings Congress with his keynote on Monday, 28 March 2011. The winner of the 1st Sustainable Chemistry Award showed that sustainability in chemical production is a key technology of the 21st century. Sustainability was also the central issue of the second keynote lecture by Dr. Erik Risberg of Jotun, Norway. The European Coatings Award for the best Conference Paper was also presented on the first day of the European Coatings Congress to Dr. Marc Entenmann’s team from the Fraunhofer Institute for Manufacturing Engineering and Automation. The paper entitled “Corrosion protection with nanoscale anticorrosive pigments in coatings” describes the effects of reducing the particle size of corrosion protection pigments. The jury based its decision on the outstanding way in which the paper shows an approach to solving one of the industry’s biggest and most cost-intensive problems: the corrosion of steel. Exhibitors and visitors again gave top marks for the range of products at the European Coatings Show in 2011 and for the success of the event. Well over 90 per cent were satisfied with the complete package. A look at the details shows why: 99 per cent of the exhibitors said they had made new business connections with their most important target groups during the three days of the exhibition. 35 per cent received direct orders during the European CoatingsShow, and nine out of ten companies also expect follow-up business. For 93 per cent of the exhibitors, the European Coatings Show is an important to extremely important part of their marketing and sales activities. 15mm thickness plate. We feel that the available powder in markets are not suitable to our process . process without spending much energy . Thank you kindly for your question. As you are aware heating 15 mm plate takes considerable energy. This being the case it is still quite common for powder coatings to be applied to substrates this thick. cases these materials can cure as low as 130 deg C.
and performance of the coating. I hope that my comments are helpful. and I doubt the rinse water concentration is kept within limits. This is done to avoid "White Rust"
during transit or storage. This chromate passivated surfaces pose a real challenge to pre-treatment.